I cannot believe that October is already here. When did this happen? September has been so incredibly busy that it has just flown by! Despite all the crazy projects I’ve been working on, I still managed to read a lot this month. Let’s get into it! I managed to read 11 books this month! Audiobooks are the MVP of this month — I managed to get through three of them! It was a really great month for reading with some amazing 4-5 star books. I think my favourites were Tempests and Slaughter, Godsgrave, and After Atlas. I’ll have reviews of the rest of these books coming up soon. I didn’t do great with my whole book buying thing this month, but at least most of these books were preorders! I preordered Pages and Co., The Sisters of the Winter Wood, Sadie, and The Way Past Winter. I’m going to save The Way Past Winter and Sisters of the Winter Wood for, well, winter. Fortunately for me, The Martian, The Book Thief, and Black Wolves are all books I’ve read, but didn’t own until now so they don’t get added to the TBR stack! Oh man, what a great month for book post and bookish events! I received most of these books in the mail from publishers, and I am dying to read them. I’ll be on the blog tour for Rejoice in mid-October, so keep an eye out for a review then! Otherwise, I’m really looking forward to reading Winter of the Witch and The Girl King soon, despite the fact that they come out next year! I’m sure you all have already seen, but my sister and I have started our very own podcast! 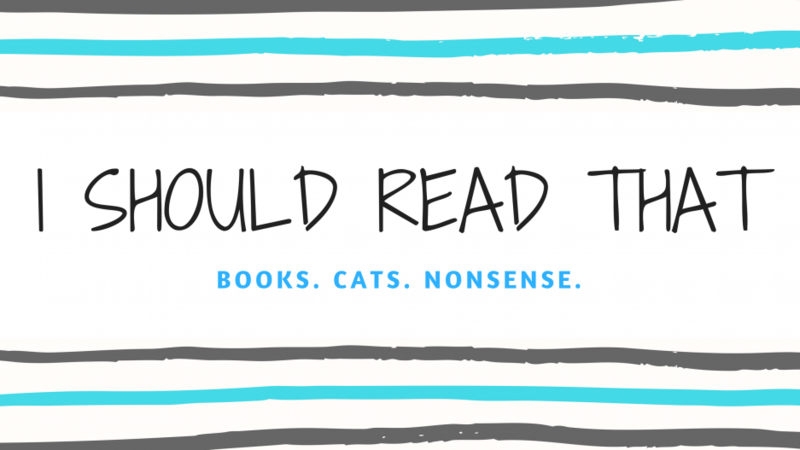 We’re two lifelong readers who read different genres, and therefore never read each other’s recommendations. But all of that is about to change! Tune in to our first season starting on Wednesday 3 October. Can’t wait that long? Of course you can’t! Check our out website and listen to our trailer, and don’t forget to follow us on Twitter, Instagram, and Facebook. I’m so thrilled to be co-hosting the Off the Grid readathon with Shanah, one of my bestest bookish pals. She decided to challenge herself to read without the distractions of her phone, and thus the Off the Grid readathon was created! Check out her blog and mine for more details, and follow the readathon on Twitter for more details. I’m trying to brag about my YouTube channel a little more. This month I did my first discussion video and talked about my own quirks as a reader. Take a look and let me know what your own quirks are! That’s it for this month! It has been a little bit crazy around here, but I’ve been doing my best to keep up with everything. What have you been up to this month? Have you read any good books? What you read any of the ones I listed above? Let me know! Next ›Announcement: The Off the Grid Readathon! Congrats on achieving so much in September, Justine. Have a great October! You have had a fantastic September! I’m currently reading The Corset, it’s pretty dark! Woo hoo! What a killer month! Are you diving into any of those preorders/purchases for October? There’s a few in that stack that are super solid reads so I was curious! Happy reading! I’m really hoping to, especially the spooky books! Have you read any of them? I read and loved (5-Star love) Sadie! Also I’ve heard nothing but positive things about Sisters of the Winter Wood! As for the publisher pile, I really enjoyed To Kill A Kingdom. I think the writing was really beautiful. Ahhh! I’m so excited to read Sadie – I think it’s going to be a five star read for me too. Keep me posted on your progress!! There’s just something about talking about that book while it’s fresh! Congrats on getting over 400 followers 🙂 you so deserve it! And that’s an awesome wrap up 🙂 I’m really curious of what you think of the Caged Queen. Caged Queen wasn’t my cup of tea, but I am definitely in the minority! Looks like you had a great month! Excited for the podcast! Thank you!! I’m nervous for it to go out into the world, but excited! What does your sister normally read? Congrats on the podcast, it’s a great idea! Also, what does MVP mean in the paragraph about audiobooks? She reads a lot of women’s fiction, romance, and historical fiction! MVP means ‘most valuable player’ — I wouldn’t have read so many books without audiobooks this month!